We're just days away from the release of Marvel's movie adaptation of Black Panther. Based on the classic African superhero, Black Panther is a prince of the hidden and advanced city of Wakanda who takes on the legendary mantle to protect his country. 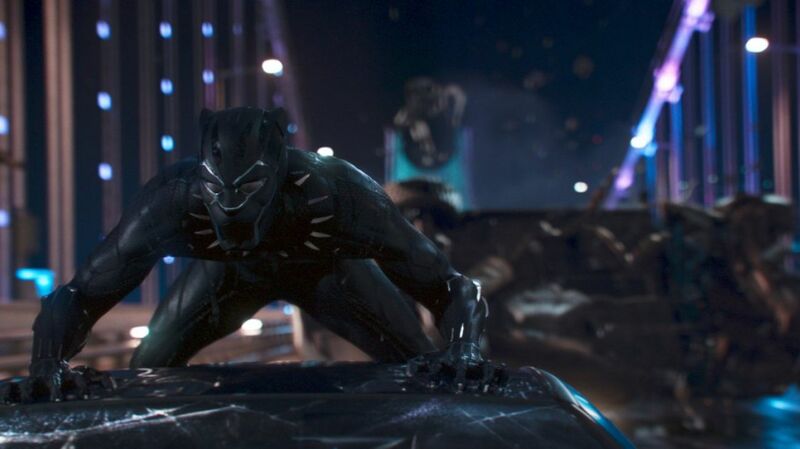 Black Panther will feature an ensemble of African-American actors, an African-American director, African-American writers and a huge budget for dazzling special effects and costumes. While we're all looking forward to the movie, it's certainly a huge step up from the last attempt on Black Panther which frankly would have sucked. We know this because Wesley Snipes was supposed to play Black Panther and recently opened up about the project and why it failed back in the 1990s. In Hollywood Reporter, he explained how his original intention for Black Panther was to portray Africa in a positive light. He explained, "I think Black Panther spoke to me because he was noble, and he was the antithesis of the stereotypes presented and portrayed about Africans, African history and the great kingdoms of Africa. It had cultural significance, social significance. It was something that the black community and the white community hadn’t seen before. Many people don’t know that there were fantastic, glorious periods of African empires and African royalty — Mansa Musa [emperor of the West African Mali Empire] and some of the wealthiest men in the world compared to the wealth of today. That was always very, very attractive. And I loved the idea of the advanced technology. I thought that was very forward thinking." At the time, Marvel hadn't had a hit movie yet. Its attempts at movie adaptations amounted to the box office bombs Howard the Duck in 1986, The Punisher starring Dolph Lundgren in 1989, and Roger Corman's unreleased Fantastic Four in 1994. If the best Marvel could do in 1994 was FF, we can only imagine what Black Panther would have been like. 2. 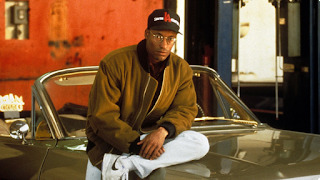 "Not the Civil Rights Group"
In contrast, Snipes was one of the hottest actors in Hollywood with hits like White Men Can't Jump and Passenger 57. He planned to make Black Panther after filming Demolition Man in 1993. With Stan Lee's blessing, Snipes began talks with Columbia Pictures but he had major problems getting anyone to match the comic book vision of the movie. Apparently, people in the studio kept confusing Black Panther with the civil rights group, the Black Panthers. Snipes also struggled to find directors. The studio wanted "young, up-and-coming black directors" with two in mind: Mario Van Peebles who had directed New Jack City in 1991 and John Singleton who made 1991's Boyz n the Hood. Snipes never met with Peebles, but he had a meeting with Singleton who seemed way off-base. Snipes described the meeting this way: "I laid on him my vision of the film being closer to what you see now: the whole world of Africa being a hidden, highly technically advanced society, cloaked by a force field, Vibranium. John was like, 'Nah! Hah! Hah! See, he’s got the spirit of the Black Panther, but he is trying to get his son to join the [civil rights activist] organization. And he and his son have a problem, and they have some strife because he is trying to be politically correct and his son wants to be a knucklehead.' I am loosely paraphrasing our conversation. But ultimately, John wanted to take the character and put him in the civil rights movement. And I’m like, 'Dude! Where's the toys?!" Even Snipes is glad Singleton's pitch never got used. Another problem would have been the costume. In the modern era, most superheroes are shown with armored versions of their costumes because skin-tight uniforms aren't too flattering. In the 1990s, they were still stuck in Spandex. Snipes says the costume would have been a basic black leotard "with maybe some little cat ears on it." Not quite the same. At the same time, the studio tried to find a writer for the screenplay and that turned out badly as well. Marvel's editor-in-chief at the time Tom DeFalco recalled a winning pitch by screenwriter Terry Hayes. He said Hayes pitched an origin story for Black Panther, beginning with a battle in Wakanda, and T'Challa (who would become Black Panther) being put in a basket and floated down the river like Moses to escape. T'Challa would eventually return to Wakanda to take his rightful place. Hayes loved it, but the screenplay wasn't produced. By 1996, Stan Lee explained he wasn't happy with any of the scripts developed for the movie. 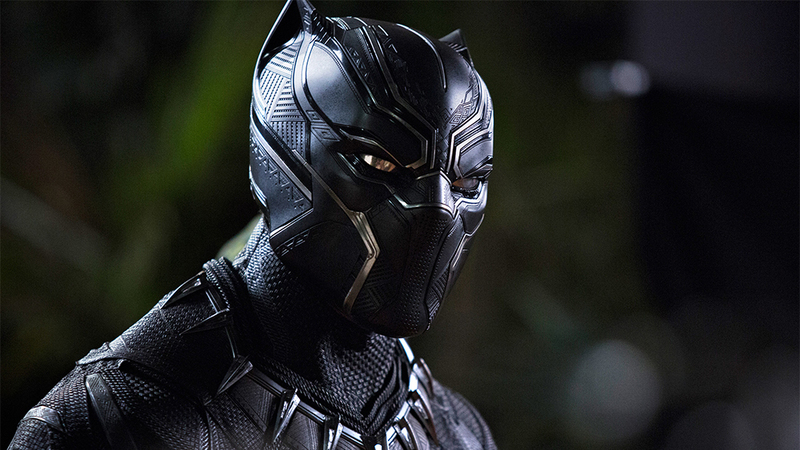 In 1998, the Black Panther movie began its decline as another project gained success. With his discussions with Marvel and the studios, Snipes became attached to another Marvel hero, the African-American vampire hunter Blade. The movie was a smash and led to a successful series of films. Meanwhile, as late as 2000, Artisan Entertainment announced plans to produce a Black Panther movie starring Wesley Snipes, but by 2004 Snipes had become so identified with Blade that Marvel thought he wouldn't be accepted as another superhero. At that point, Snipes' Black Panther project officially died. In our opinion, it was worth the wait. What do you think of the 1990s Black Panther movie? Could a "Star Wars" Actor Be Joining the MCU?